For his first ever job in wine, Orin Swift’s Dave Phinney turned up for the interview for the position of ‘Temporary harvest worker’ in a suit and tie. He can still hear the laughter many years on. Phinney has never looked back, however. A true iconoclast, Phinney went about setting up Orin Swift, one of the most exciting new wave wineries in California and has been making wine in a style entirely of his own making – dividing the critics with his striking Californian blends that can have controversial images on their ‘surfer dude’ labels. 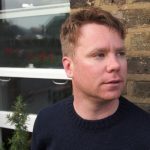 Chris Wilson hooked up with him in London for an in-depth chat about where American winemaking style is at right now, how he fits into the business of wine and how the E&J Gallo buyout got him out of a very tight corner. Jeans and a jacket, sneakers and a baseball cap are pretty standard garb for many winemakers these days, especially those making wine in California. Take Dave Phinney for example, the mercurial force behind one of Napa Valley’s most respected and highly-prized (not to mention highly priced) wineries Orin Swift, he turns up fresh from a flight from San Fran in exactly this get-up for a series of press interviews and a tasting of the Orin Swift portfolio. Charming, up-beat – but down-playing his talents and reputation at every opportunity – he gives inspirational and humourful chat and is a source of great insight into what makes quality wine, how he learnt from the bottom up and why turning up to a ‘cellar rat’ interview in a suit and tie wasn’t his best move ever. This incident happened 21 years ago when Phinney returned from a trip to Europe with his eyes opened to the joys of ‘amazing’ Italian wine and a desire to learn how to make the stuff himself. He wasted no time and side-tracked his post-graduate law plans to move to the Napa Valley and get his hands dirty. It didn’t take long. “I sent my résumé out to 50 different wineries in the Napa Valley and I got one response from Robert Mondavi Winery to come and interview for what was called a ‘temporary harvest position’, which you literally can’t get any lower,” he recalls with a smile. Decked out in suit and tie he headed to the winery only to be told that the interview was taking place in a make-shift trailer as the winery was being re-built at the time, which only added insult to injury. They took one look at the suit and couldn’t help but laugh. Named after his parents (his dad’s middle name is Orin and his mother’s maiden name is Swift), the label was born and Phinney made his first solo wines from a custom-crush facility in Napa with a couple of thousand dollars’ worth of bought-in fruit and a desire to make wines as great as the ones he tasted in Tuscany. It was a very steep learning curve. Orin Swift’s first vintage was okay but not noteworthy with Phinney confessing that he made an error in sourcing average fruit from the ‘wrong part’ of a great vineyard. He quickly learnt not to make this mistake again and learnt how to become a businessman at the same time too, something he was not and still is not, overly inclined to be. 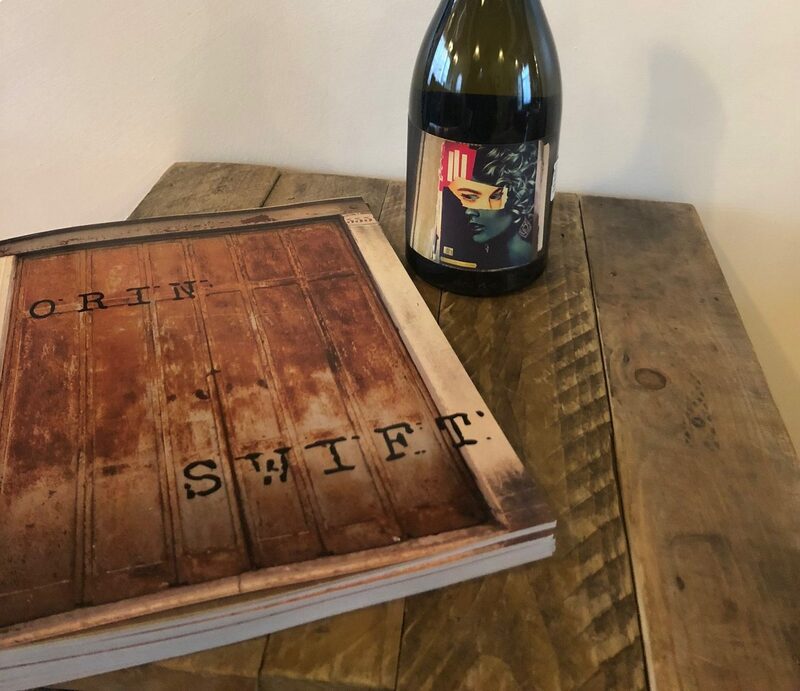 Thankfully the wines he was making did make a lot of sense among his growing customer base and Orin Swift quickly garnered a cult following. He puts this down to one thing and one thing only; the quality of the wine. He loves the Mercedes Benz motto ‘The Best or Nothing’ and thinks it fits well for his winemaking model where compromise is never an option. I ask him if others in Napa are as careful as him not to compromise and to rest on their laurels and the reputation of the Valley. 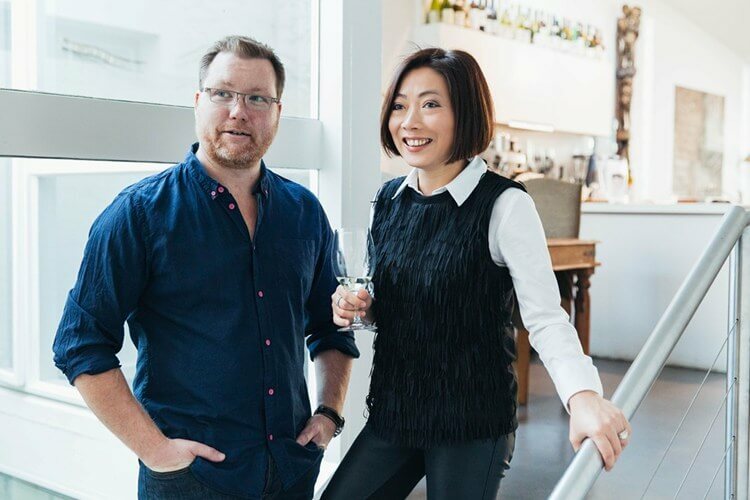 These two idioms stood him in good stead as he crafted a select raft of wines which today includes 13 different wines ranging from $28-$120 a bottle, with most sitting between the $35-$50 spot. These include a non-vintage port-style wine made from Cabernet Sauvignon, Tinta Cao, Tinta Madera, Tinta Madeira and Souzao, a 15.6% rosé made from Grenache and Syrah and the flagship Mercury Head, with its iconic (and very expensive) bottle. 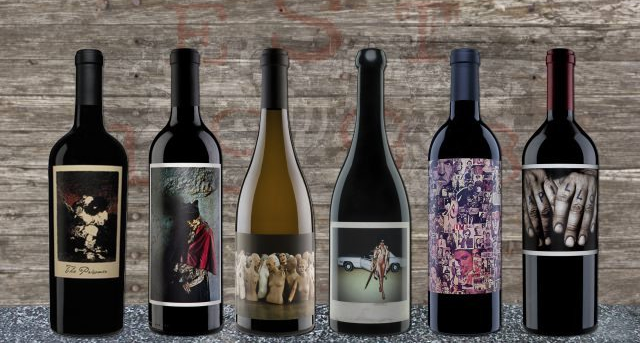 These wines and others in this truly esoteric portfolio have garnered huge press and consumer interest with many selling out soon after release, but two years ago Orin Swift was in the papers for a very different reason. 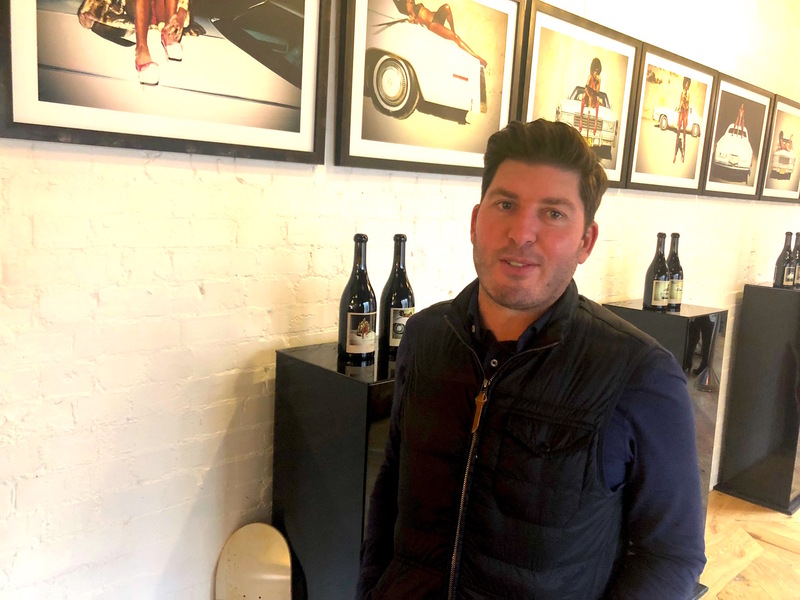 Phinney found himself in the business pages when Orin Swift was bought by Californian giants E&J Gallo, in a move which divided opinion in the wine circles. While some saw it as a canny and natural business move there were also whispers of criticism about Phinney ‘selling out’. He understands this very well but stands by his decision. “It was a very natural, organic coming together, I’ve known and worked with the Gallos since 2005 and it was just kind of a conversation that was spurned because our growth curve was like a hockey stick and that’s when you become attractive to bigger wineries,” he says. He remains confident that it was a great deal for both parties; Gallo gained a highly-respected, highly marketable premium portfolio and for Phinney he suddenly had access to some of Napa’s best vineyards and kept complete autonomy over his own winery and wines. 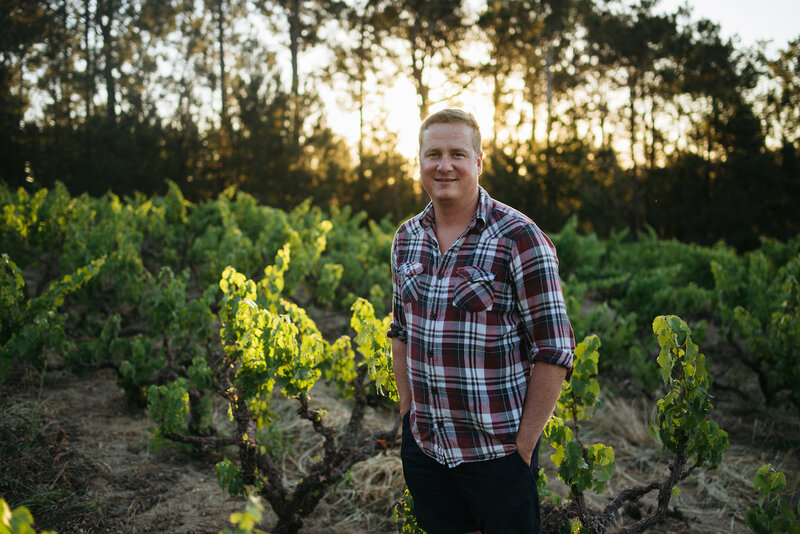 “On paper it was a sale but it’s very much partnership, and it’s just amazing for me because I get to concentrate on vineyards, winemaking, new product development and not have to worry about the day-to-day minutiae when it comes to the business side of it,” he explains. The partnership has already spurned new projects and opportunities such as the decision to start making an Orin Swift Zinfandel again in 2016 with fruit from Gallo vineyards in prime areas such as Monte Rosso and Snows Lake. “All the Gallo vineyards have just enhanced what we’re doing,” he says. Many of the wines Phinney makes are blends and this is by design not circumstance, so having access to a huge number of vineyards and parcels in sought-after areas of Napa Valley and beyond makes his job more interesting and his quest for producing great wines arguably easier. “For me the easiest way to achieve complexity is through geographic diversification, and that can be county-wise, valley wise, country-wise,” he says. As well as the quality of wines and out-there styles and blends which Phinney has in his own small way pioneered, Orin Swift is almost as well-known (certainly in the States) for its labels and design cues. Photography, pastiche, collage and street art all feature on various labels, making them stand out and helping to tell the story of the wine. On his way to this interview he stopped at an art book shop and bought a handful of different books to use as inspiration for future work. “It’s made my bag really heavy,” he jokes. The problem is that these coins haven’t been minted since 1945 so they are in rare supply and because they are made from silver their price fluctuates daily. The price of the coin when a new vintage of Mercury Head is released dictates what price the bottle sells for. 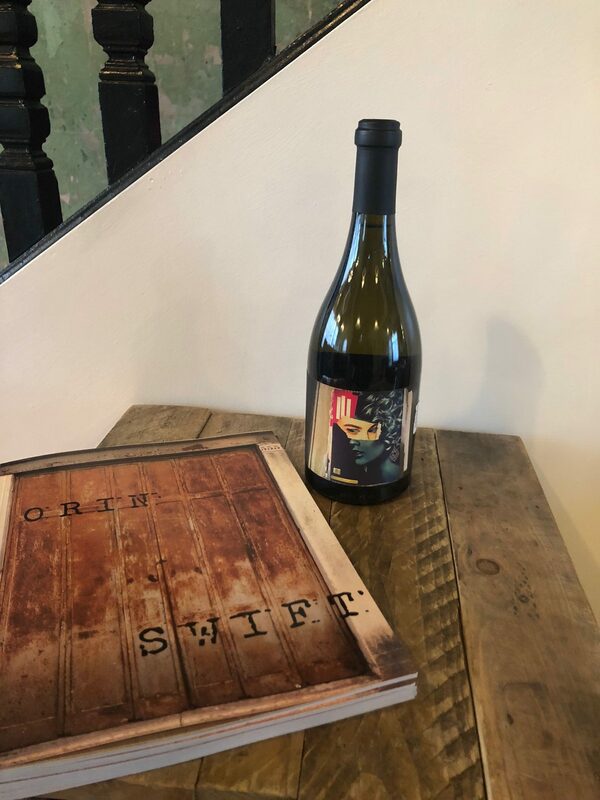 Thankfully many Orin Swift fans lever the coin from their empty bottles and return them to the winery, something that puts a smile on Phinney’s face. 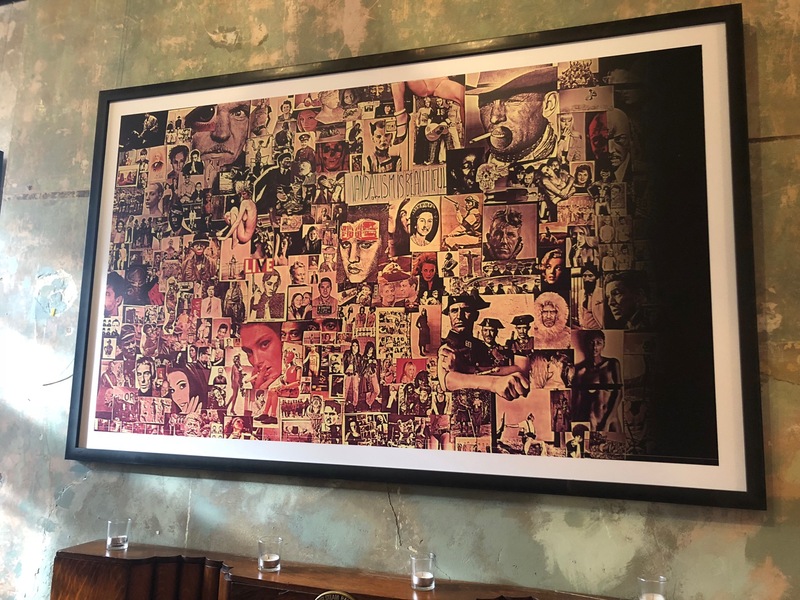 Phinney is a guy who’s into art and the punk aesthetic (there are skateboards printed with Orin Swift labels scattered around the tasting room) and who cares about the style of what he does almost as much as the substance. So what else makes him tick when he’s away from the winery? 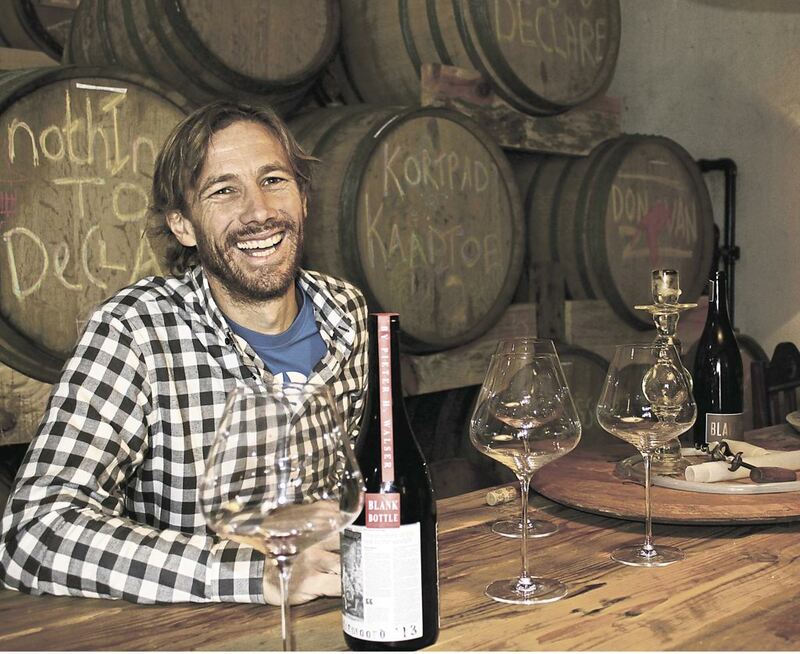 A good answer that nicely sums up this talented, laid-back, cleverer-than-he-makes-out winemaker. 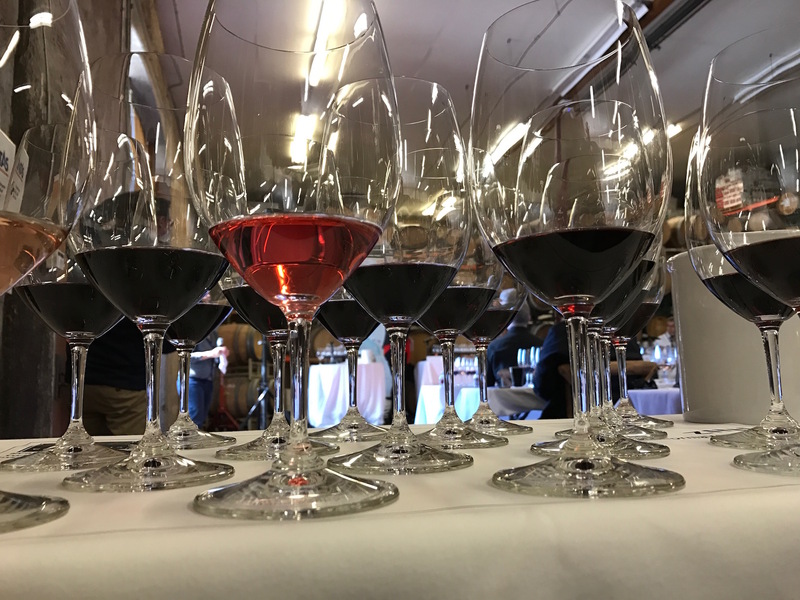 If you ever get a chance to chat and taste with Dave Phinney take it, you’re sure to learn something, have a good laugh along the way and taste some outstanding wines. 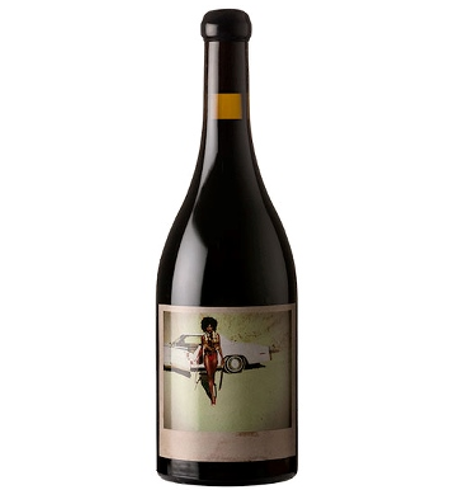 Orin Swift’s wines are sold and distributed in the UK by Enotria&Coe. Enotria&Coe is a supplier partner of The Buyer, learn more about them by clicking here. E&J Gallo is also a supplier partner of The Buyer, learn more about them by clicking here.